Classic cruises to be revived? Home/Cruise News/Classic cruises to be revived? 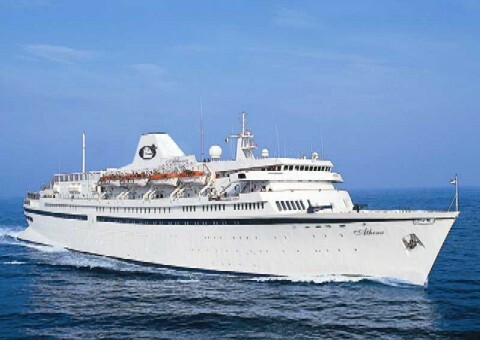 The opportunity for Cruise & Maritime Voyages to launch cruises from Europe to Australia was partly made possible by the demise of Classic International Cruises, which collapsed in September when its ships were arrested over a growing pile of unpaid bills. So it’s ironic that within hours of CMV’s announcement, news emerged from Portugal that CIC is on the verge of a revival. Luis Miguel Correia reports on his Ships and the Sea blog that four of the line’s five vessels have been sold to 44-year-old entrepreneur Rui Alegre who plans to put them back in service. The ships are Athena (above) – which operated the Australia service – Arion, Princess Danae and Funchal, which has been undergoing modernisation in Lisbon since 2010. A fifth ship, Princess Danae, has been returned to the Potamianos brothers who inherited CUC on the death of their father, George, in May 2012.